Disney Donna Kay: I Have An Announcement!! Hi everyone!! I am very happy to announce that I am opening an Etsy store! It is Magical Creations & Celebrations and I would love for you to stop by and let me know what you think. I am starting slow with just a few items in the shop, but will sell more things as I get a little more comfortable with the entrepreneurial life. 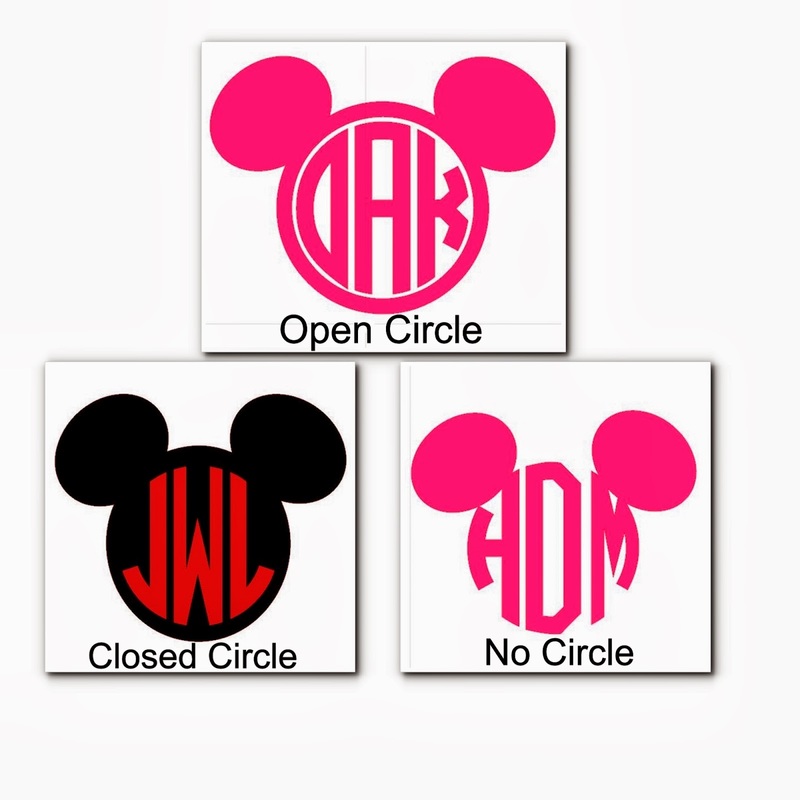 The first items in the shop will be vinyl decals - including the Mickey inspired circle monograms on my Facebook Page, as well as the Damask Mickey and Bohemian Mickey I posted there earlier in the year. Later I will be venturing into party supplies as well as home decor items. Again, here's the link to the store Magical Creations & Celebrations. I appreciate all of your support. Wish me luck!! Yay Donna! I'll have to check it out! Thanks Amy! Please let me know if there is anything you would like to see there. I'd wish you luck Donna, but I know you don't need it. I LOVE everything you do!! Thanks my friend!! You are always so sweet and supportive and I appreciate it more than you know!! Hugs! Thanks Melissa! I am working on some new stuff but wanted to start out slowly. Thanks Kelly!! You are so sweet! !